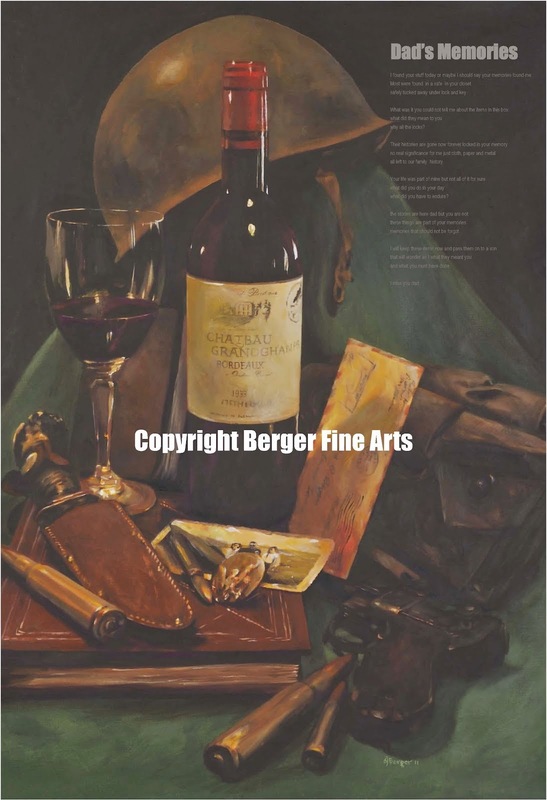 This is the original piece that was auctioned off at the Capital Grill on July 26th that I mention in the previous post. The original measured 36" x 56'" and the prints of this piece are already sold out so there will be no other editions of this art. 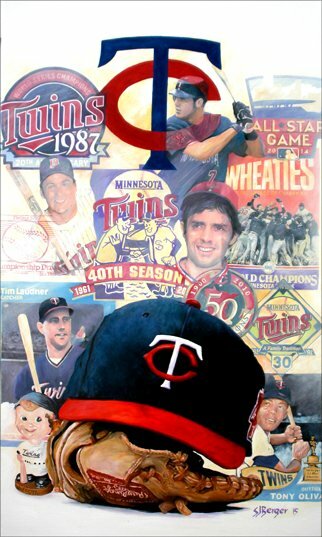 Watch for next years event for another piece from me celebrating Twins baseball. I have to mention that Diane Forsberg the sales manager at the Capital Grille in downtown Minneapolis really knows how to have an event and do it right. Great job Diane for a great cause. 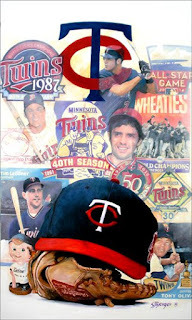 I created a piece for the Minnesota Twins auction night held at the Capital Grill in downtown Minneapolis. 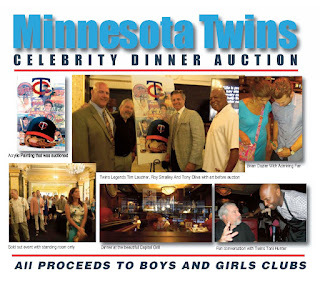 Money raised by the event went to help the "Boy's and Girls Clubs" of the Twin Cities. This event was hosted by the Twins players Roy Smalley and Tim Laudner and their extended families of new and old Twins players. What a great cause and event it was. You can tell by the pictures here how much fun it was for me to be a part of such an extraordinary group of caring people. The kids who spoke for the boys and girls club were so inspiring and listening to their stories helps to understand what events like this mean to the lives of kids who need help and how the Boys and Girls Club is there to offer assistance when it's needed. 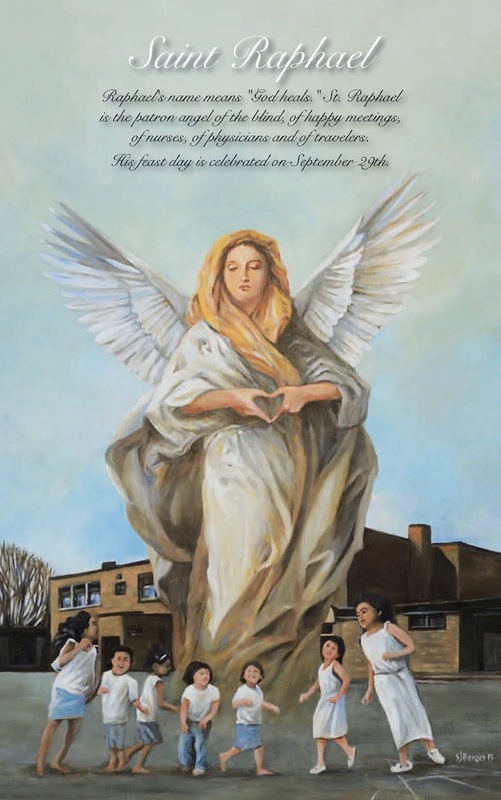 I really look forward to next years event and doing a new piece for the cause. 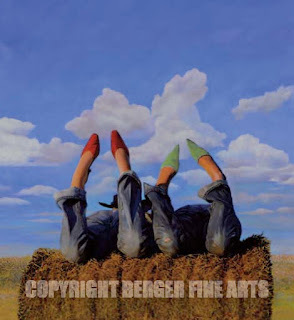 Two best friends still on the farm but daydreaming about bright lights and city life is the subject of this new 3'x 5' artwork. 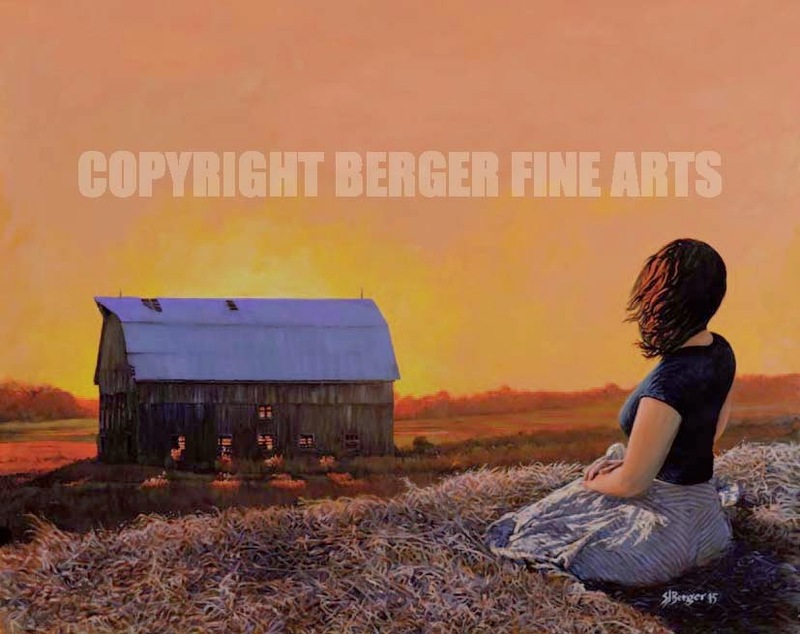 Signed 16"x20" prints are now available in the "Farm Series" on my web site. 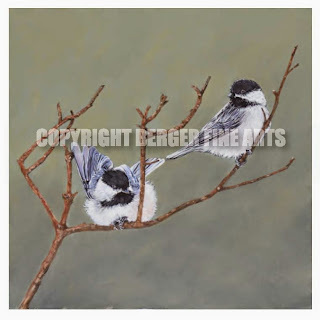 A new piece that features two Chickadees one showing off and puffing up and the other maybe a little startled by the show. 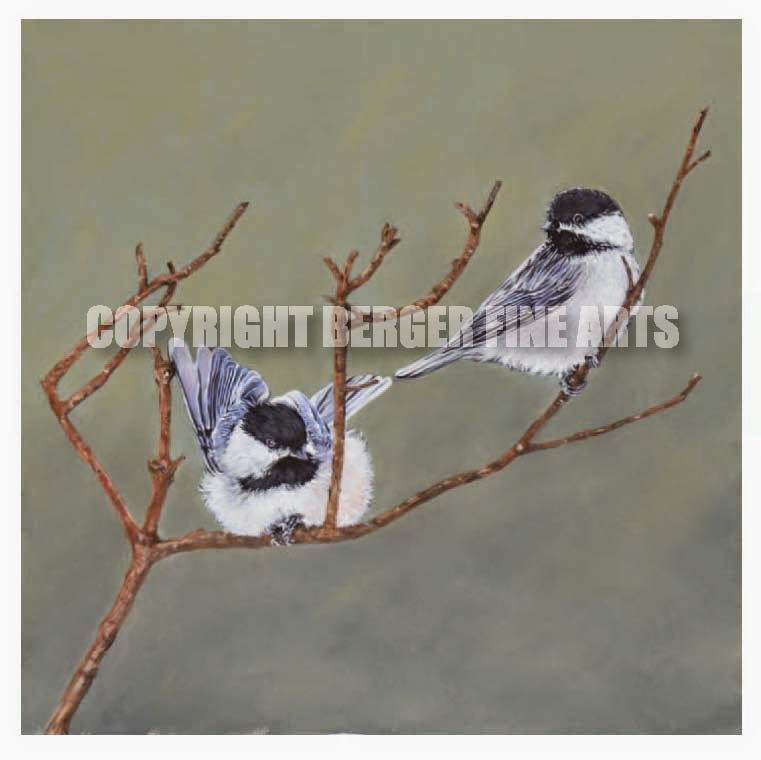 It is titled "A Close Pair" and will available soon as a signed print in the "Wildlife" category section on my website. The original mesures 24"x 20" and is available for purchase. 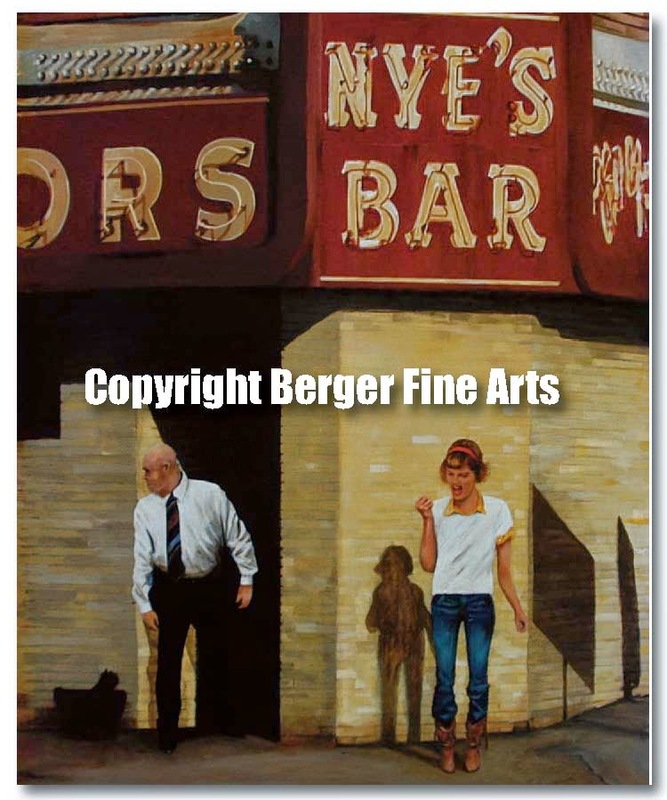 Email steve@bergerfinearts.com if interested in purchasing. Off the Gunflint Trail about two miles via a winding path is a huge obelisk called "Magnetic Rock". It is old, it is strange and it looks way out of place and yes and it will screw up your compass. While visiting this place you can not help feeling that you are standing and looking at something primeval. The area after a recent fire is especially breathtaking. 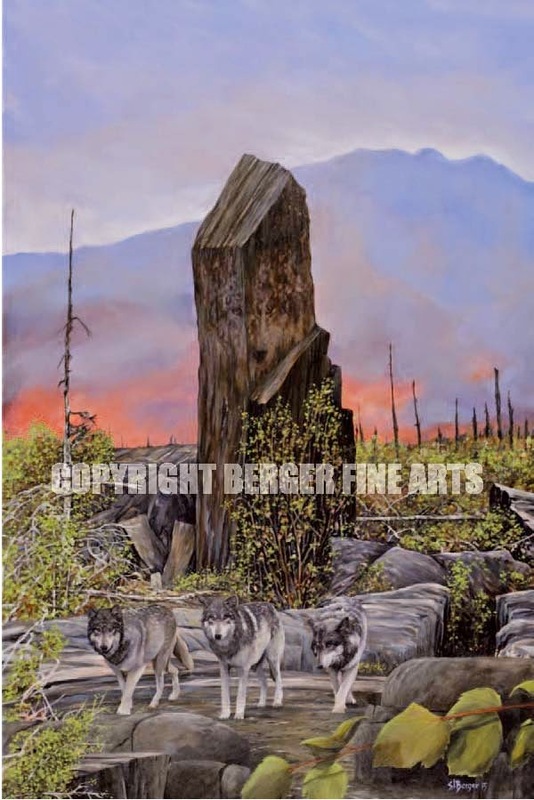 This new piece is called "Animal Magnetism" and it features four wolves gathered about the magnetic rock. 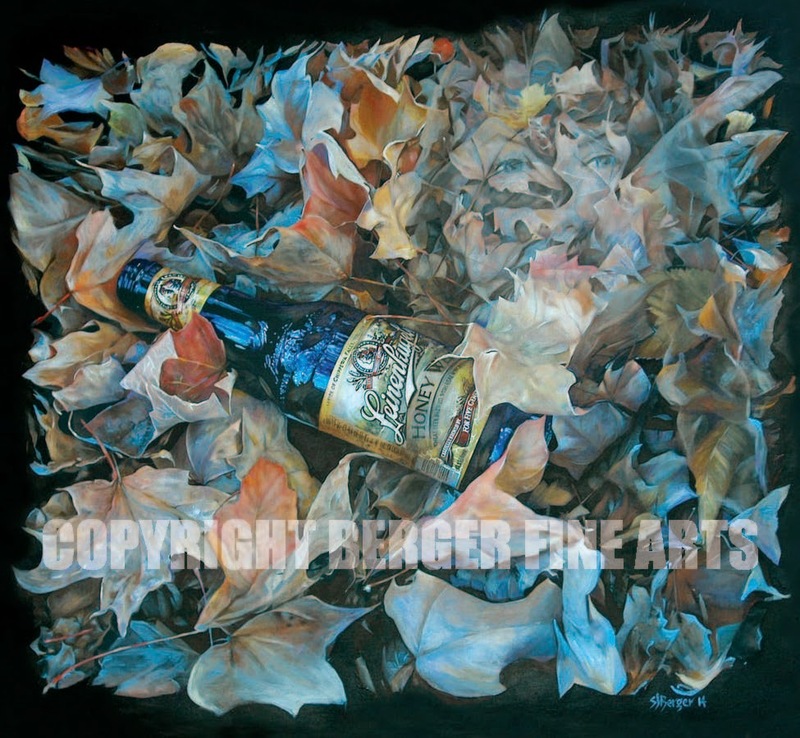 The original painting measures 3'x 4' and is available for sale. 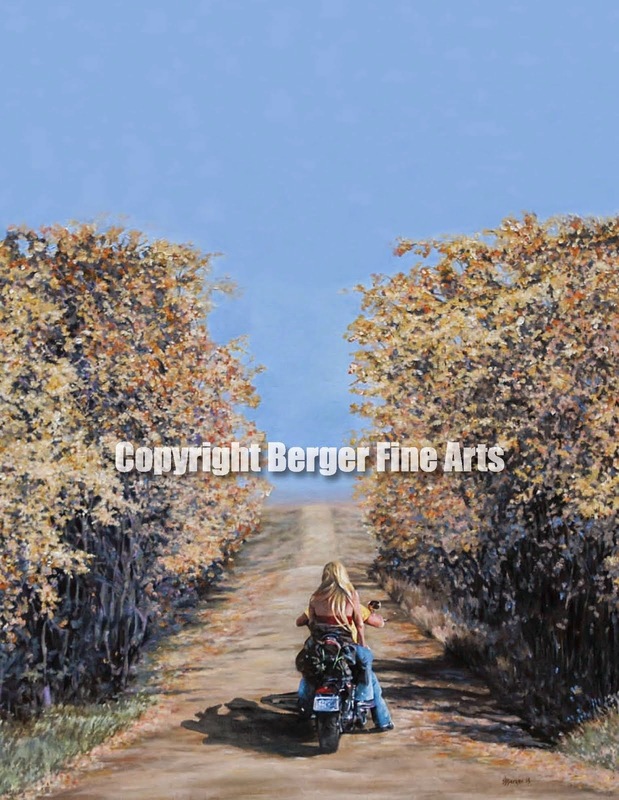 Prints will be a part of the "Gunflint Series" Contact steve@bergerfinearts if interested in purchasing the original. 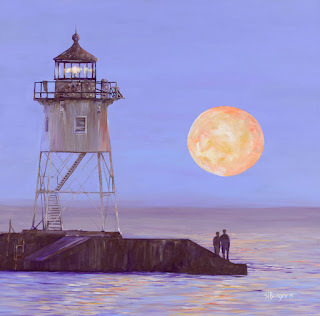 This piece showing the Split Rock Lighthouse will eventually be part of a series called "North Shore" along with the "Little Spirit Tree posted earlier this month. I still have a little work left to do but this piece should be ready by the end of the month. I just wanted to post it because it has been on my to do list to finish for some time. 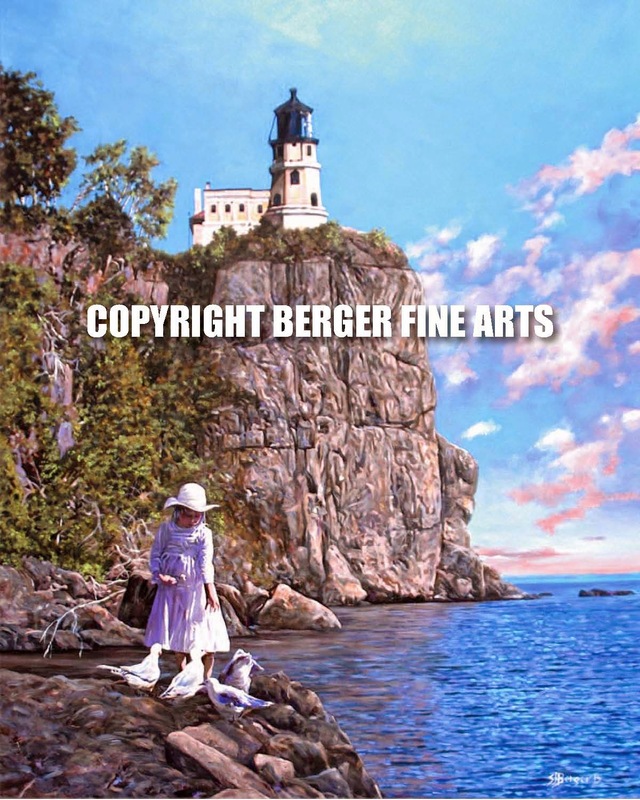 The Split Rock Light House On Lake Superior is an Icon that has long held it's own majestic presence towering above the lake. This 16x20" signed piece captures a summer day with a little girl feeding gulls and enjoying the view. 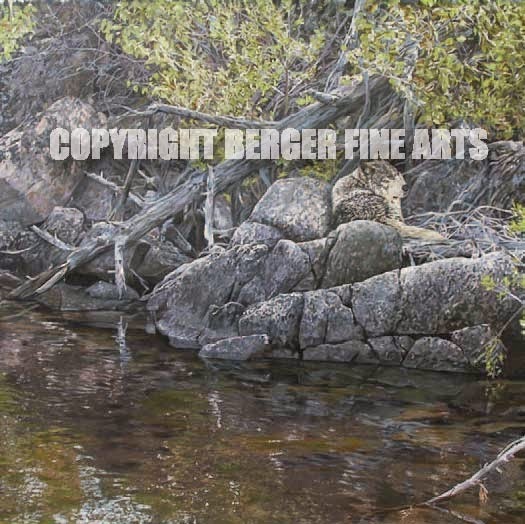 For now this art will be in the Boundary Water Series and Minnesota Landmark Series on my web site if interested in purchasing. Thursday April 16th was my first showing in downtown Minneapolis and had just a great time rolling out new art pieces to show. The Tractor Works where the event happened was the absolute perfect place to highlight original pieces from my "Farm Series" collection. 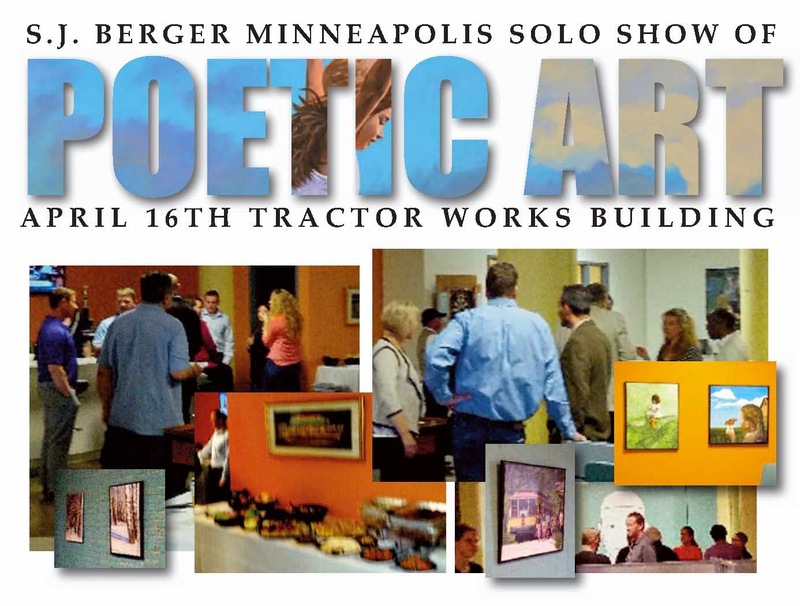 The building was formerly the "John Deere" tractor factory which needed 20' high ceilings and wide open spaces to produce their products but now makes a fantastic place to show art. The show was very well attended with a real eclectic mix of people enjoying wine and great food supplied by Open Technology Systems who also hosted the show. I look forward for another event in Minneapolis sometime this summer. I wanted to do some more North Shore pieces of art and this new one is titled "Witchtree Maiden". 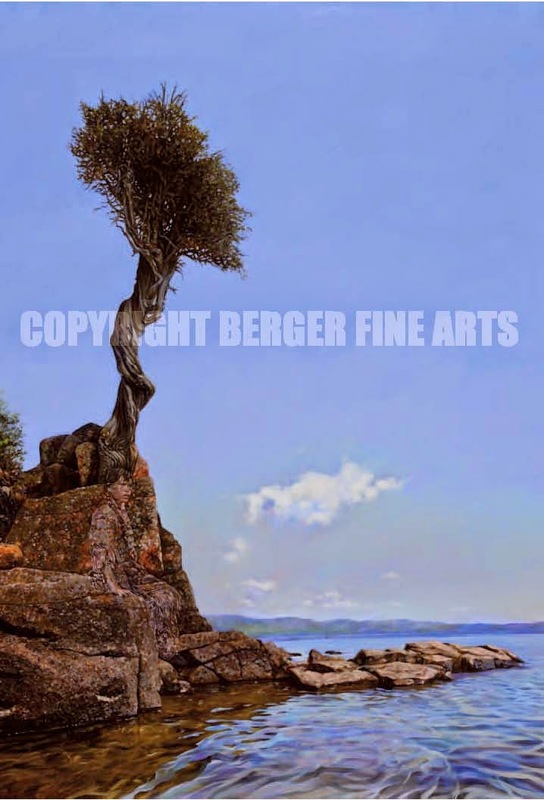 This knarly conifer has watched the history of the lake from its spot growing right out of the rock on the edge of lake Superior. The tree is off limits to anyone who is not accompanied by a local American indian Ojibwe band member this to ensure it's passage to watch over future generations. It is called by the Ojibwe "Manidoo-giizhikens" or "Little Spirit Tree". The earliest record of this tree is by the French explorer Sieur de la Verendrye in 1731 who commented on the tree as a mature tree at that time, making it at least 300 years old. Because it is held as sacred by the Ojibwe they still leave offerings of tobacco as the voyagers and their ancestors did hundreds of years ago to ensure a safe journey on Lake Superior. 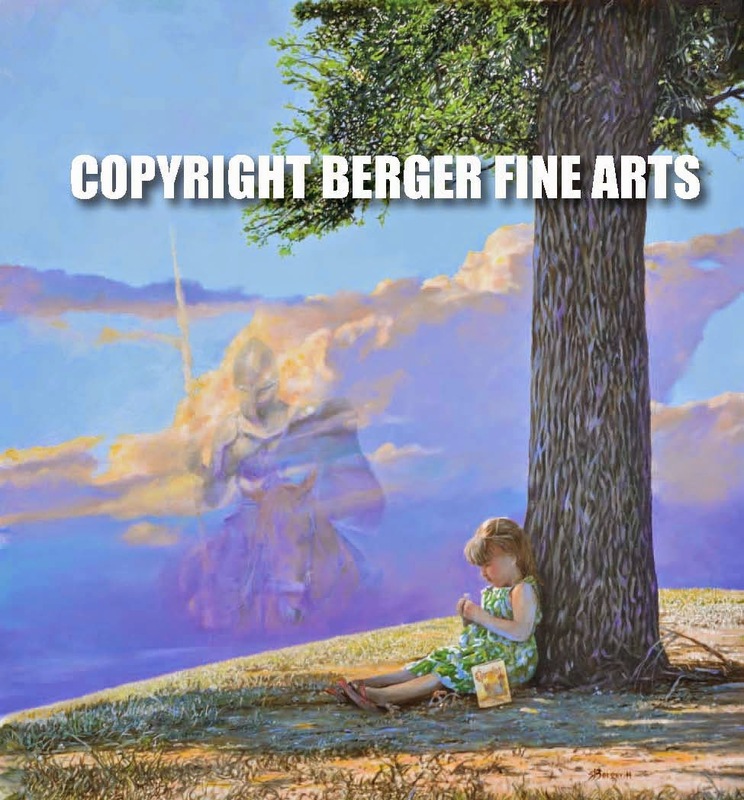 If you look closely at this painting you may see a maiden watching over the lake. If interested in a signed print go the "Gunflint Series" category on my web site to purchase. 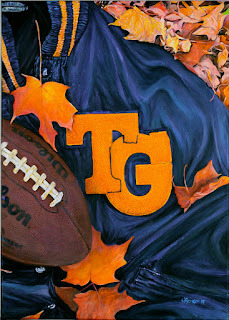 This is another custom piece for a coaches gift presented to the head coach after a successful season. 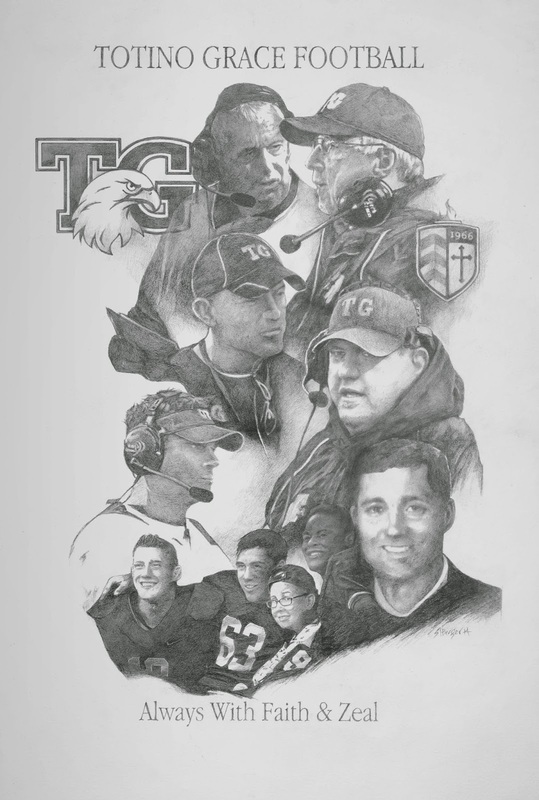 It features all the varsity coaches co captains and manager of the Totino Grace football program. Fun piece to do. The finished pencil work measured 18 x 26". 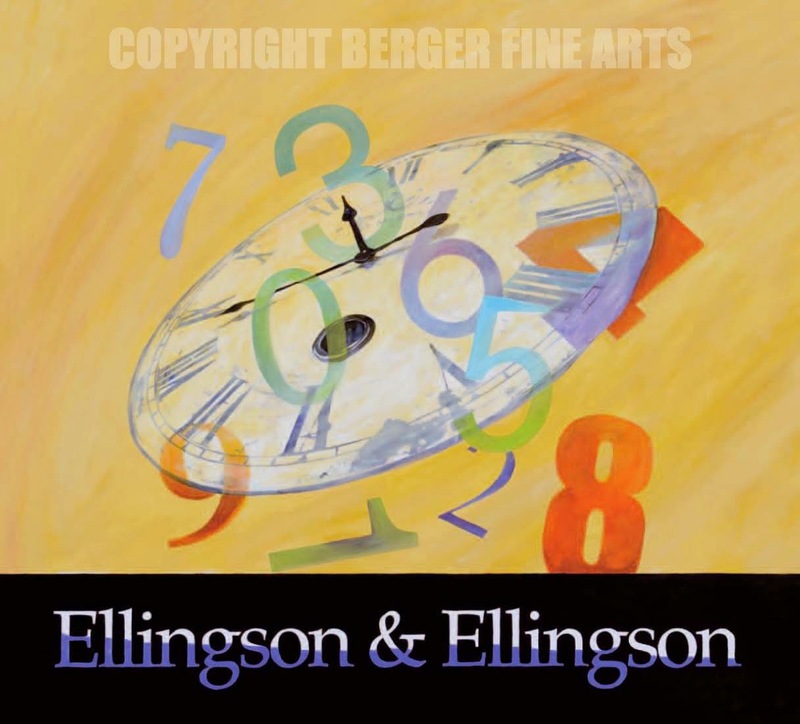 This 40"x40" art is a custom piece for a corporate account that deals with accounting and business financials. Seems like time and numbers falling to the bottom line are what they are all about and this art was a fun way to reflect it. This office also features beautiful earthy colors throughout and this art really brightens up the reception area. 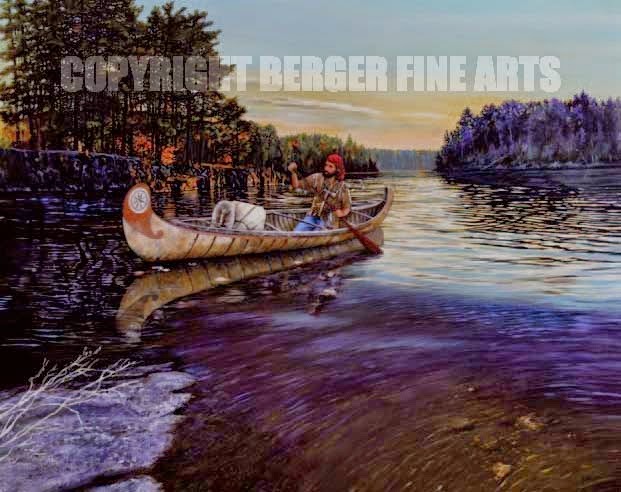 Another Boundary Waters Painting that would look great on a cabin wall. A lot of reflections in this piece that catch all the beauty of sundown on the lake.This 16x20 artwork shows a voyager coming back to camp after a long day. Fur, traps, and provisions all ready to be unloaded with just enough daylight left to get ready for a good fire. 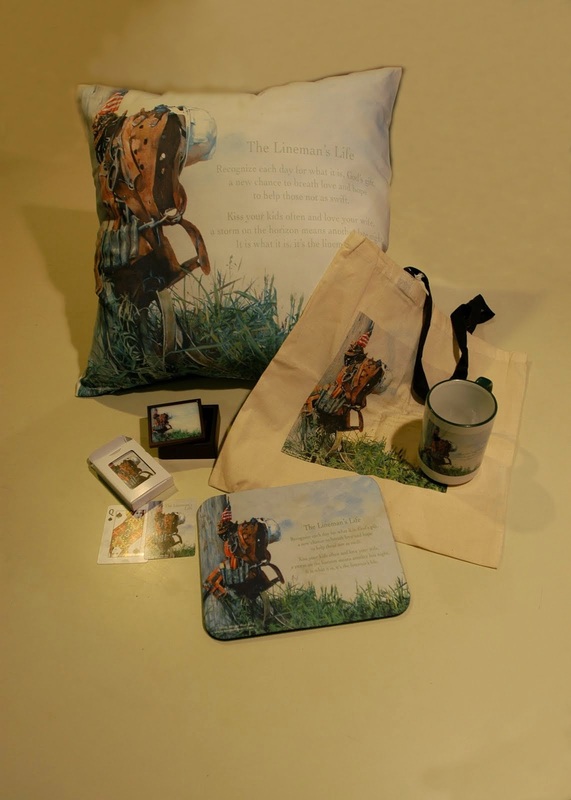 Go to the category on my website titled "Cabin art" to purchase if interested. This is a new piece I created for the "Make A Wish Foundation" of Eastern Iowa titled "On a Wing And A Wish". This is the second year I have contributed to this great cause and I hope this years art generates some interest for the event. The castle behind here is at Eagle Point Park in Clinton Iowa. It was built in the 1930's and has a commanding view of the Mississippi River down below. If you would like prints of this art just follow the link to my site. Just finished a new piece for the Boundary Waters Series. 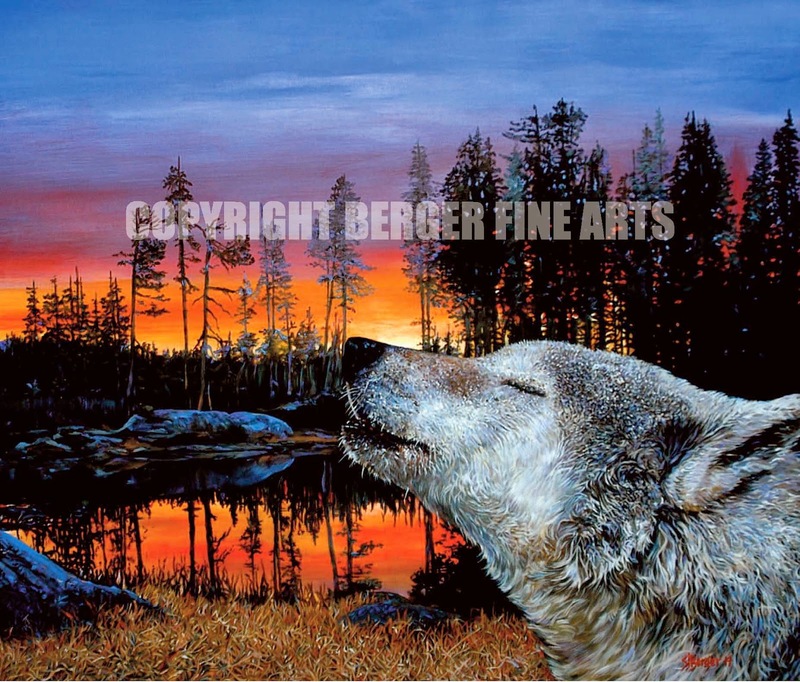 This art has a wolf calling out to friends before nightfall. If you have been in the boundary waters you have seen this sky and heard the calls while settling down at your campsite. Always reminds you of how special the place is. 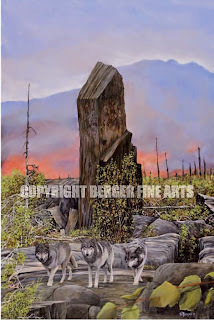 The original size of this painting measures 36"x 32" and will be available soon in the "Boundary Waters" and "Cabin Art" sections of the Berger Fine Arts web site. I wanted to do another ghost of the prairie piece but thought I could incorporate the farm into a piece to go with the farm series. 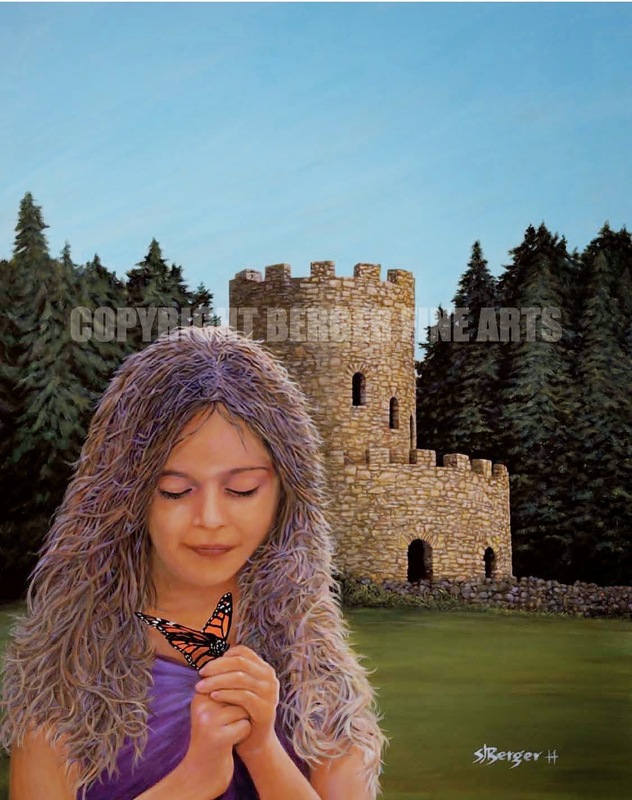 This painting highlights a young girl going about her morning chores. When I come up to these old homesteads I always wonder what happened to the families that occupied these places. I may do a few more like this. 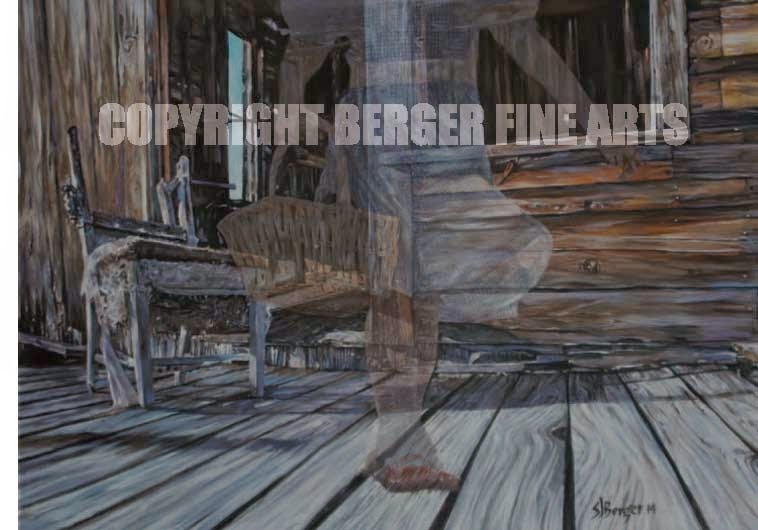 This painting ( which did not reproduce very well here) will be for sale in the "Farm Series" soon on the Berger Fine Arts web page.